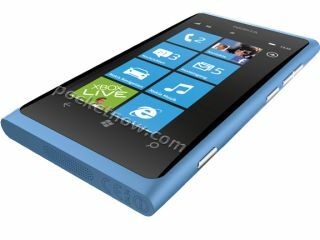 Both Nokia CEO Stephen Elop and Microsoft chief Steve Ballmer have as good as confirmed that Nokia's first batch of Windows Phone handsets will be unveiled at Nokia World next week. But that's not soon enough for the ever-hungry internet, as pictures of two of the line-up have made their way online. rather than the doomed MeeGo OS. Leaked renders of the numerical handset show it in black, blue and pink (eurgh) finishes, with the familiar design offering a 3.7-inch touchscreen, volume buttons, a camera shutter button and Windows Phones' tiled home screen. Meanwhile, the Nokia Sabre is yet to get its official monicker, but has emerged in pictorial form. It looks a shade chubbier than the Nokia 800, with a slightly smaller 3.5-inch screen – we're expecting this one to be at the lower end of the budget scale than the N800. The rumoured specs for the Sabre include a 1.4GHz processor and 1GB of RAM, so it should make up in performance what it lacks in style. Speaking of the range which is set to launch at Nokia World in London next week (we'll be there! ), Elop said the company will bring out a "repeatable pattern of cascading devices both up and down" the spec spectrum over the next twelve months. He also confirmed, "We will be launching in select countries later this quarter. We plan to systematically increase the number of countries, launch partners and products during the course of 2012."